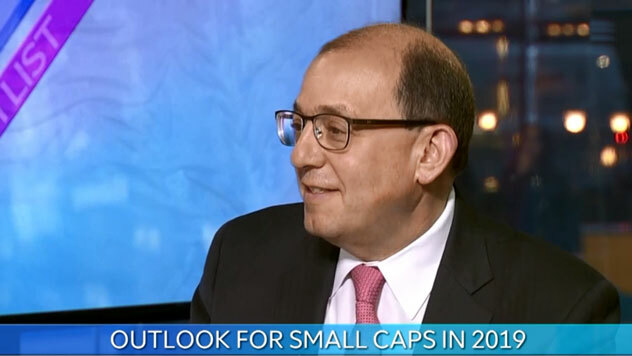 PM Jay Kaplan joined host Nicole Petallides and an all-cap portfolio manager on TD Ameritrade The Watch List to discuss the market’s rally and what he likes about small-cap stocks. Jay said that while the Fed is worried about the economy slowing and has ceased raising rates, the economy is still growing at about a 2% rate. Jay Kaplan has been at Royce & Associates for 18 years, and he is a portfolio manager for five funds at the Firm. Prior to joining, he spent 12 years with The Prudential, most recently as Managing Director and Portfolio Manager. Mr. Kaplan holds a bachelor's degree from the State University of New York at Binghamton and a Master of Business Administration from New York University. He is a CFA® charterholder. The thoughts and opinions expressed in the video are solely those of the persons speaking as of April 3, 2019 and may differ from those of other Royce investment professionals, or the firm as a whole. There can be no assurance with regard to future market movements.